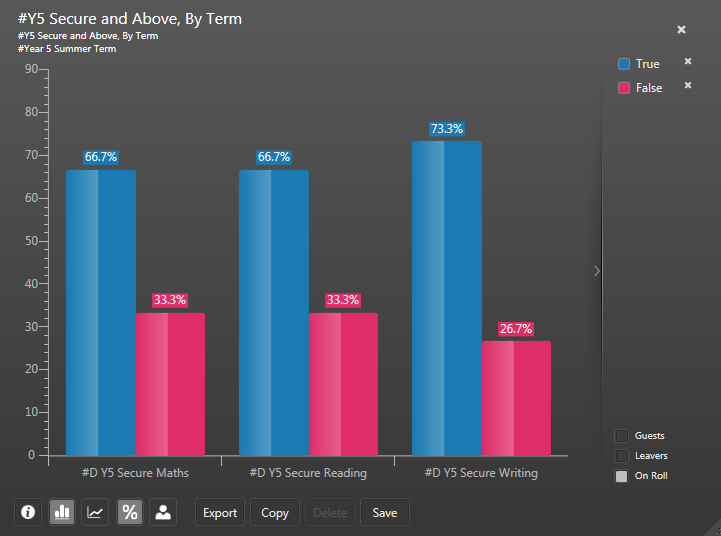 School Analytics allows schools to measure progress in whichever way is best for your pupils. As a default, we measure progress by counting the number of grades the pupil has progressed through since the start of year baseline. Get in touch if you would prefer to use an alternative measure. School Analytics and SIMS provides in-depth analysis from the moment the data is entered onto the marksheets. It is important that classroom teachers have access to timely and relevant analysis. This helps teachers retain ownership of their data by encouraging them to analyse their own data quickly, easily and in a timely manner. How many pupils are working at age related expectations or higher? The percentage of pupils working at each grade? What’s the average grade of a group of pupils? Which individual pupils are falling behind? What vulnerable groups does the cohort contain? What’s the gap between the vulnerable group and the other children? 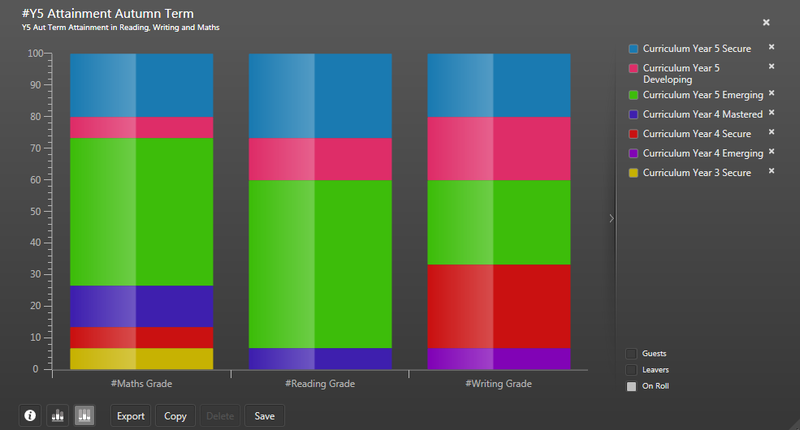 School Analytics provides a unique set of graphs to give a visual analysis of the data entered in the marksheets. Use the power of SIMS Discover to compare attainment by gender, SEN, EAL, pupil premium and almost any combination of factor. Powerful aspect analyses in SIMS give you an interactive summary of the latest grades attained in each subject. You can switch from percentages to the count of pupils. With a double-click you can ‘zoom-in’ and see the pupil names and grades ‘behind’ the statistics. Quick to install – you could be up and running today. School Analytics comes complete with a comprehensive online training course that you can share with staff to make sure that everyone gets the same high-quality CPD. If you want to ‘try before you buy’ you can sign-up for the on-line course here.